Wonderful two week holiday in KwaZulu-Natal combining superb big five safari, boat trips and kayaking in the magnificent iSimangaliso wetland park and luxury relaxation on the Coast at the renowned Oyster Box Hotel. We recommend flying into Durban, from where it is a three hour transfer to the Game Reserve. 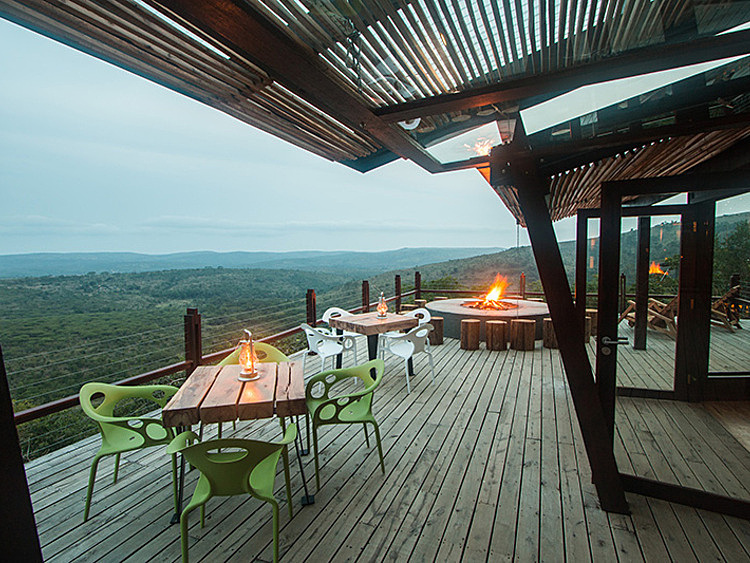 Part of Africa’s oldest proclaimed game reserve Hluhluwe Imfolozi, this low-risk malaria site is ideal for families. Situated in a 96,000 hectare park dedicated to rhino conservation, the park is now home to over 1,000 white rhinos that can be spotted, along with the rest of the big five, on the day and night game drives offered by the experienced rangers. 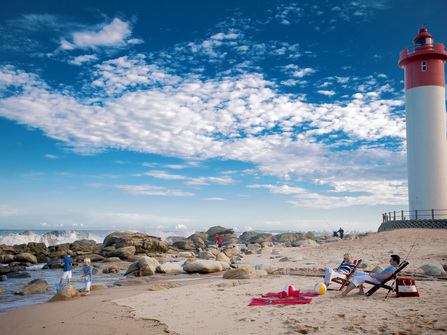 This area is a perfect alternative to Kruger national park for those preferring easy access to the beach as beautiful coastline is only an hour’s drive away. Situated in the majestic Isimangaliso Wetland Park, Kosi Forest Lodge is a 16-bed wilderness eco-lodge - a superb base for a relaxed stay amidst nature with first class kayaking and snorkelling available nearby. The lodge itself consists of 16 thatched bedrooms built on raised wooden decks, each hidden within the sand forest with atmospheric outside bathrooms. 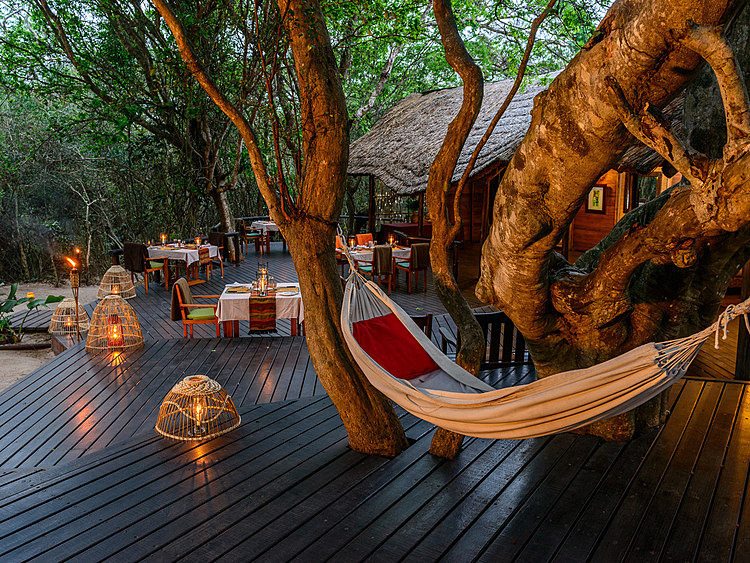 Activities include boat cruises through the 18km lake system and estuarine waterways, swimming at the nearby isolated Bhanga Nek beach, birding walks through the ancient Raffia Forest, cultural visits to Tsonga communities and taking a short trip to the Kosi Mouth for an excellent snorkelling experience. 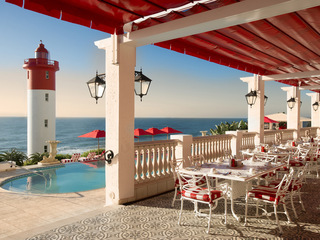 Returning towards Durban, The Oyster Box is a renowned five star hotel with stunning sea views, perfect for relaxation. Apart from enjoying the beach and swimming pool, this also a good base for a day tip into Durban where you can explore the bustling Indian Market or head to the uShaka Marine World Ocean theme park, which boasts the highest water slide in the Southern hemisphere. 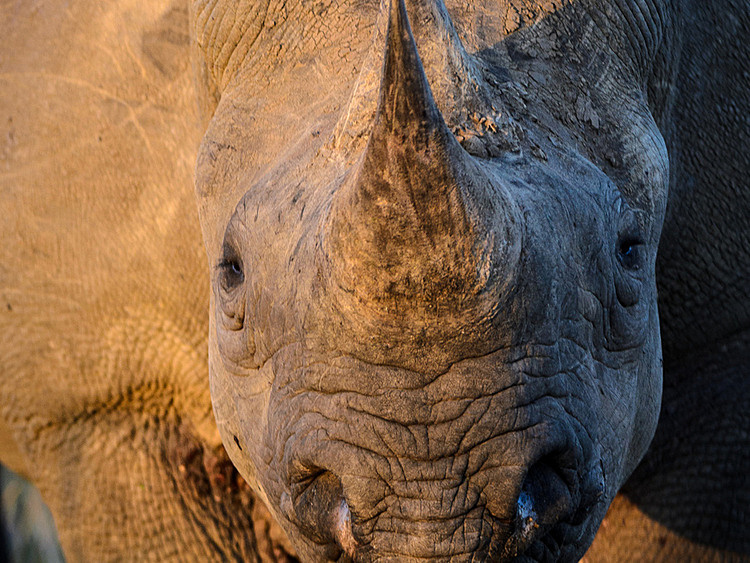 Your day on safari generally starts with an early morning rise for the departure of your game drive, during your drive you will stop for drinks and snacks. 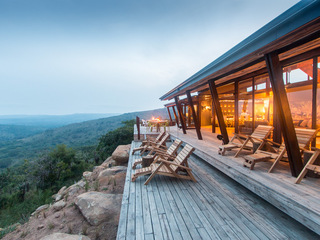 You then return to the lodge for a hearty full English breakfast and then enjoy the remainder of the day at leisure. A light lunch is served. Late afternoon meet for game drive, again stopping en route for refreshments. 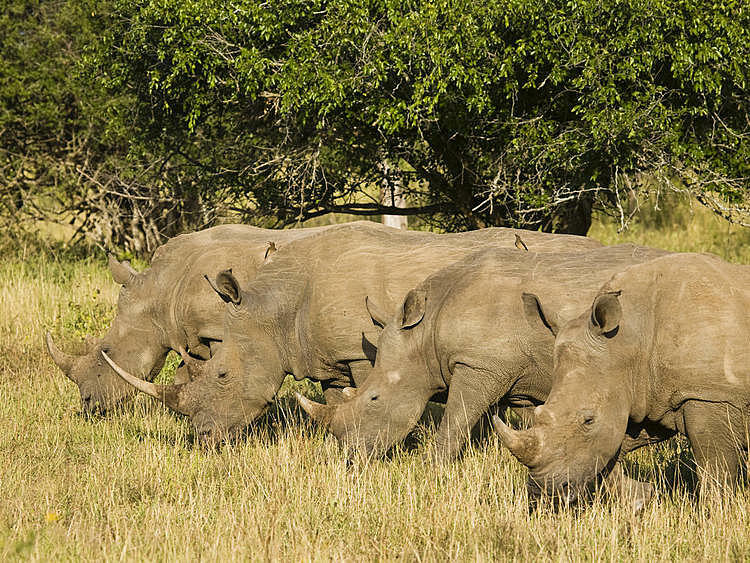 Private transfer to Kosi Forest Lodge. 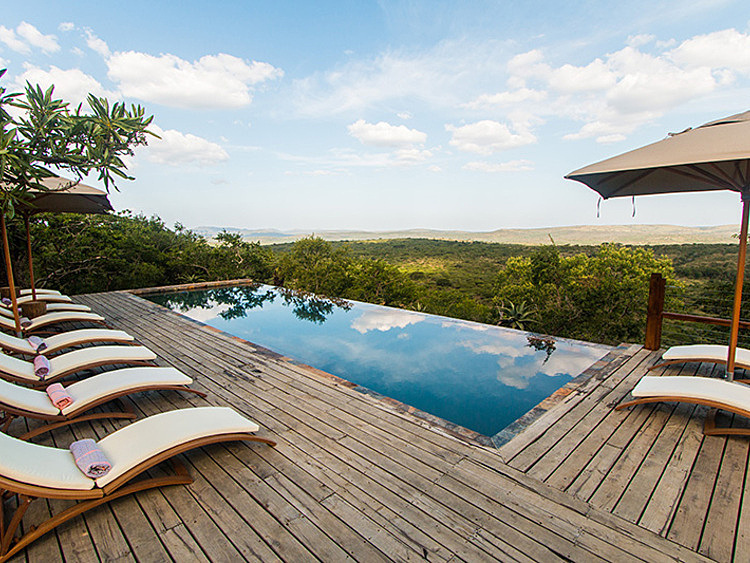 Situated in the majestic Isimangaliso Wetland Park, this 16-bed wilderness eco-lodge is a superb base for a relaxed stay amidst nature with first class kayaking and snorkelling available nearby. 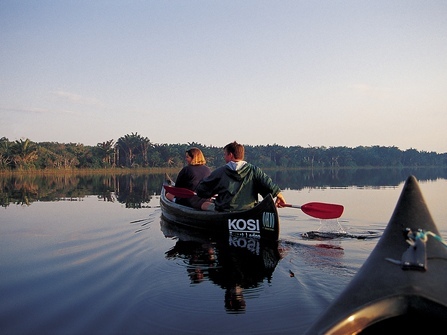 The highlight of many guests stay at Kosi Forest Lodge is the canoe trip on the Kosi Lakes. 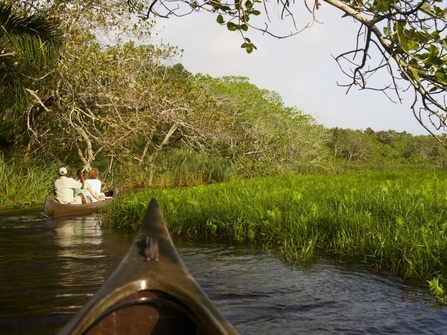 Guests get the opportunity to canoe along the Sihadla channel and admire the magnificent Raffia Palms. The bird life while canoeing is very rewarding. 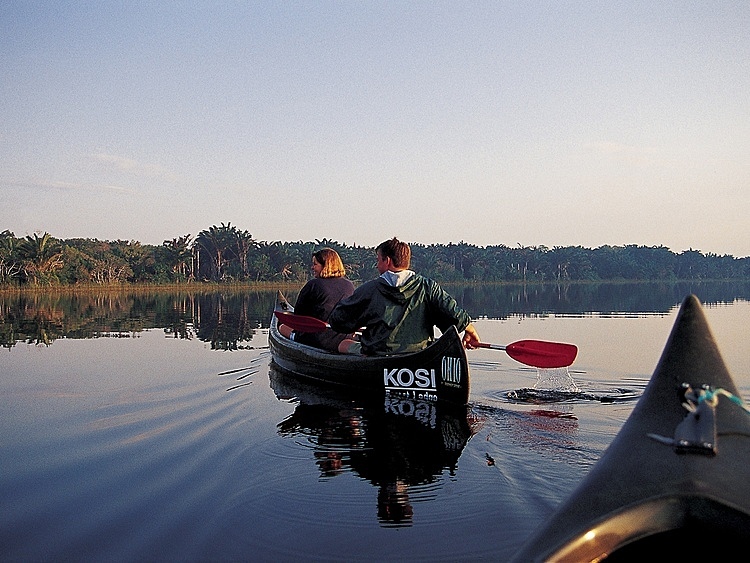 Canoeing is always accompanied by a guide and is included in the full board rate. Unfortunately no children under 12. 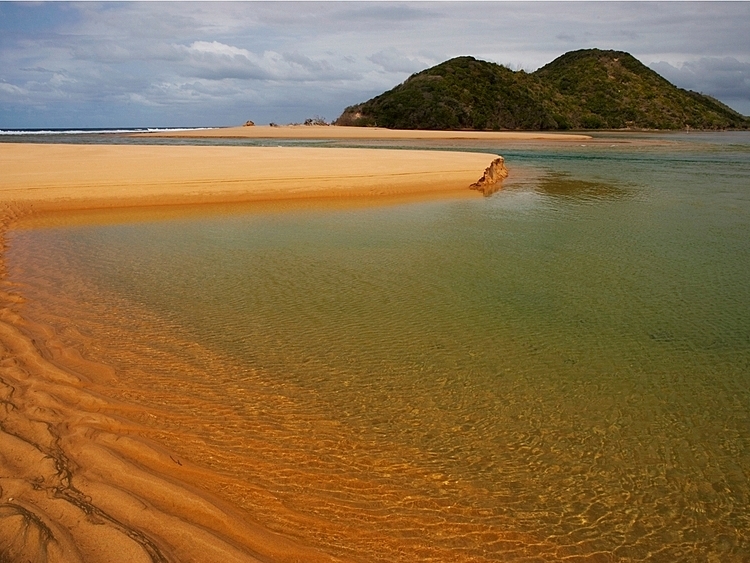 It is just over an hour's drive to the beautiful remote Kosi Bay Mouth, where there's great year round snorkelling. The water is warm and almost always crystal clear. The lodge organise (at extra cost) a day tour to the Mouth with picnic lunch and snorkelling equipment that is highly recommended. After breakfast transfer to the Dolphin Coast for a relaxing stay at a beautiful hotel situated right on Umhlanga’s beachfront with two heated pools. 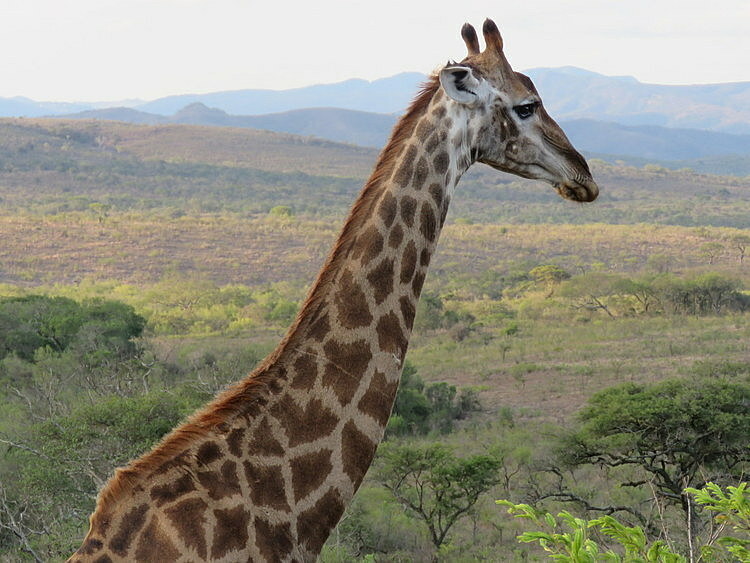 South African Airways, Virgin Atlantic and British Airways have good regular connections from Johannesburg to Durban which work well with overnight flight from London to Johannesburg from £600-£1250 per person. 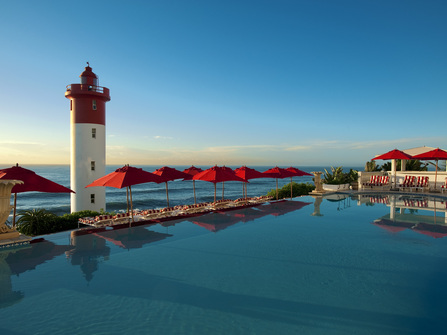 In addition with Durban now being an international airport you are able to fly directly in from the Middle East and Emirates often have excellent offers. Flight prices on this route are always cheaper booked in advance, particularly when flying during UK school holidays. If you are booking anything less than a month prior to departure expect to pay more. This holiday is available all year round, although accommodations will book out early for the Christmas period.